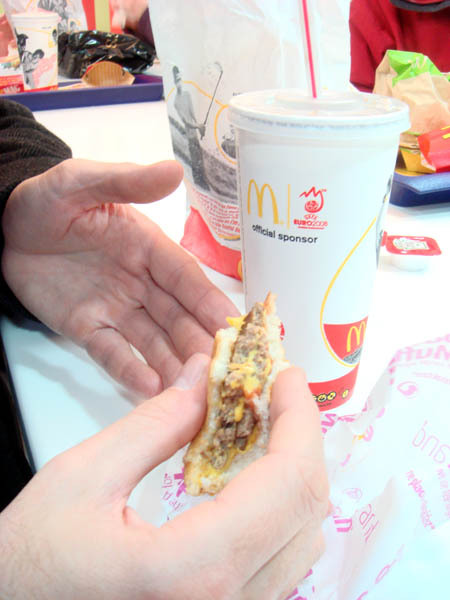 Ah London… where French Fries are “chips” and a large is a medium… our first meal of 2008 consisted of a McDonald’s double cheeseburger, chips and a large coke. Then, we attended a professional “football” game at Arsenal Stadium, home of the London Arsenal, also known lovingly as the “Gunners”. 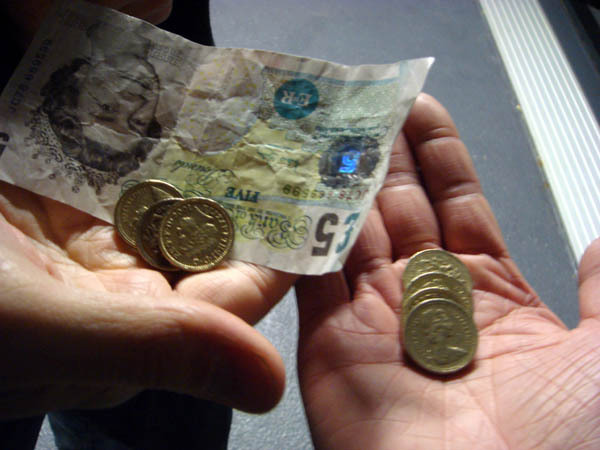 There, we placed a bet of several quid that Arsenal would win, and having won, were paid a handsome prize — enough money to catch the Tube back to our hotel. 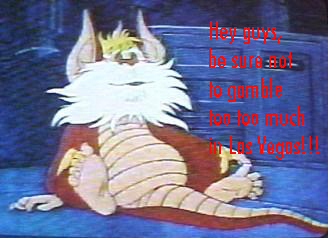 GIKKU.COM has lost unprecedented amounts of money to large corporate casinos in Las Vegas this time around. However, the members of GIKKU are also proud to report that a good time was had by all. Followed by additional losing money. 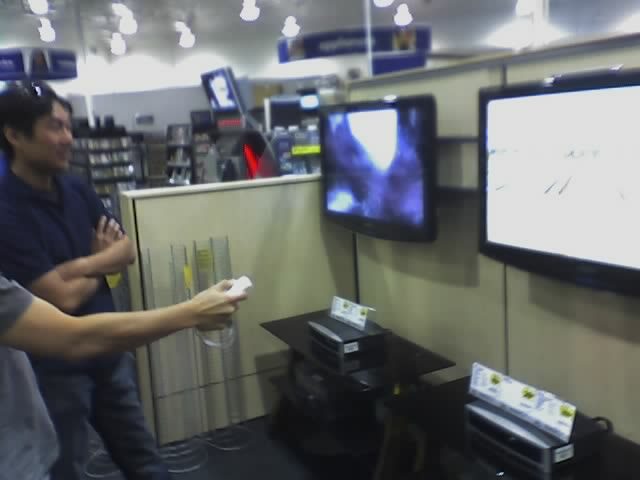 Followed by playing Wii Tennis at the local Best Buy. Ben would like to add that we also ate fine steaks and excellent mini donuts. You can bet on GIKKU.COM. Because we’ll be in Vegas on Friday through Sunday. Who’s the Lucky Lion Fish? 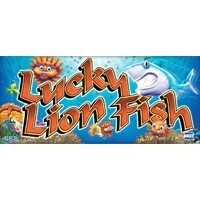 I’M THE LUCKY LION FISH. 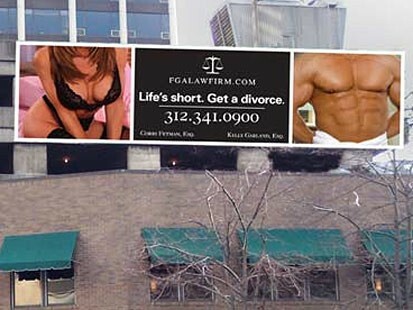 Apparently, calls to this law firm in Chicago were up quite a bit after this billboard ran. Do do do do do-do-do-do do do do do do do. Do do do do do-do-do do-do-do-do-do. Ok so our lovely rules to keep america safe…where you have to put your (fluids) in a plastic bag…great fine ok…1:45 in the morn and Mike and I are going through the rigerous screening process…and oops bag check…im like yea? we got 2 hours WFT go ahead make yourself look important mr airport security guy….and what do you know he pulls out my Crest multipurpose scope fresh toothpaste and says…welp…sorry but this is 4.1 ounces…and you cant take this on board…I proceed to say…well coming from boston it came though fine…but thats ok….whatever i need to sacrifice to make the air safer for us all. When Townie Team Wins, We All Win. Mike @ 8:54 am | Comments Off on When Townie Team Wins, We All Win. Behold. 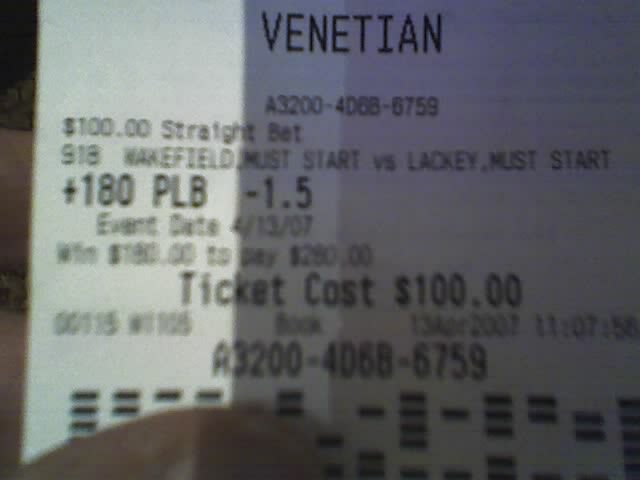 We bet on the Red Sox to beat the Angels yesterday by 1.5 runs (which means they have to win by 2). Thanks to David Ortiz, we won. And that is just a portion of what is happening in the amazing world of gambling at GIKKU.COM. Ok just wait a minute lol. Ben @ 8:34 am | Comments Off on Ok just wait a minute lol. 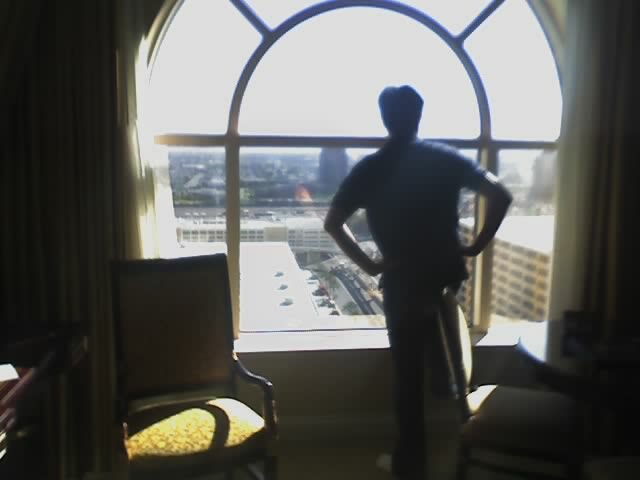 So were in vegas right! and mike and allen are feverously writing their blogs. As i decided not to bring my laptop i resorted to use my phone to post as i got tired of wating…. So i win for the gikku award…and allen is all pissy now as he is finished and wants to go. Meanwhile look closely at the picture mike will post…you will notice the horns poking out from beyond mop of hair. so there. 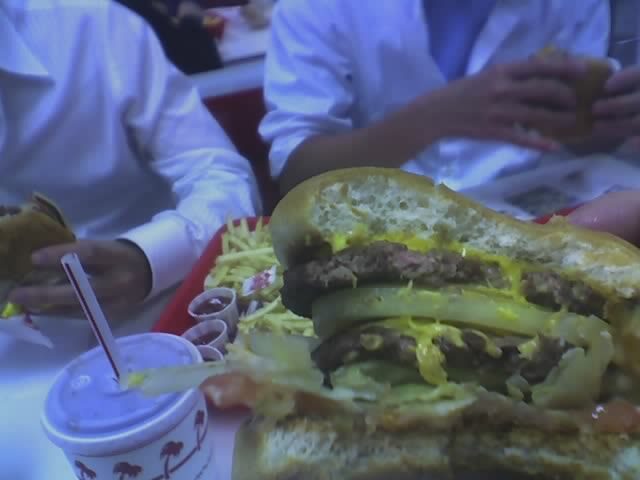 Ben and I arrived last night in LAS VEGAS, after being delayed for 2 hours in Boston, which we spent eating Johnny Rockets hamburgers and reading US Magazine. We finally got into Vegas and unfortunately, ALLEN had not included us on the hotel reservation, so we were forced to wander aimlessly through the lobby of the Venetian, toting our bags like dead animals. Ben urged me to go play WheelWinners (Wheel of Fortune slot machine), which I knew was a sucker bet but Ben insisted. We started feeding the machine 20’s when all of a sudden, I won $400.00. “That could only happen to you Mike,” Ben said, continuing to feed his machine 20s. At that moment, Ben won $500.00. We cashed out and went to the bar, trying to decide if we should send a limo for Allen. Mike @ 7:53 am | Comments Off on Sage words from Snarf.